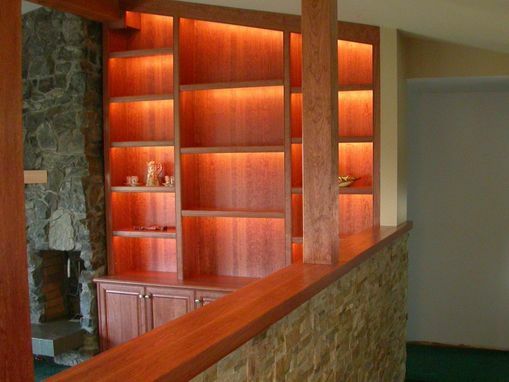 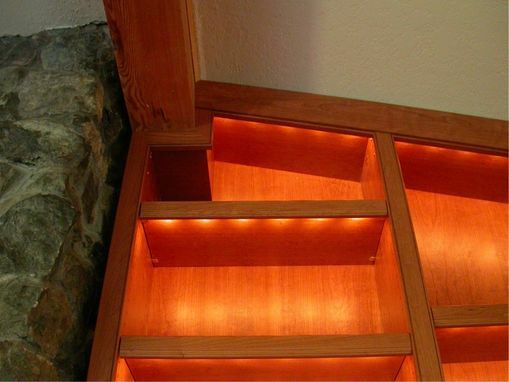 The illumination generated by most cabinetry lighting is limited by the solid shelving or partitions. 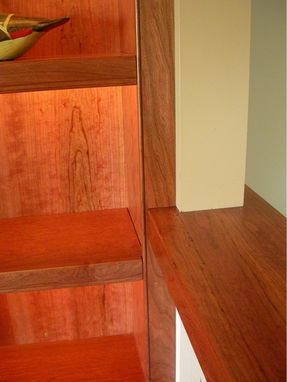 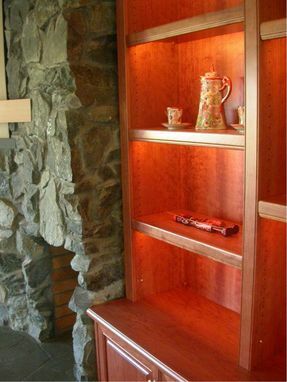 On this bookshelf cabinet, we engineered lighting that attaches to each of the adjustable shelves. By doing so, the entire cabinet is lit regardless of where the shelves are positioned.